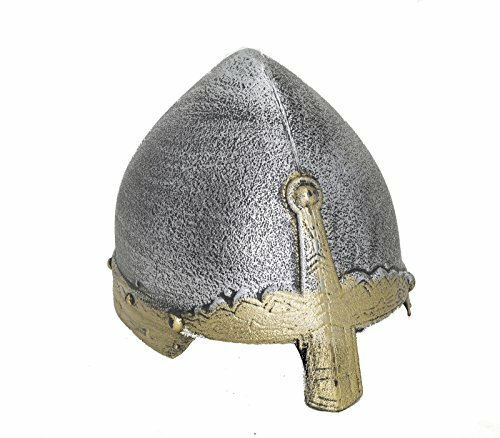 Bring out your dark side and capture the princess in this realistic blocked knight hat. 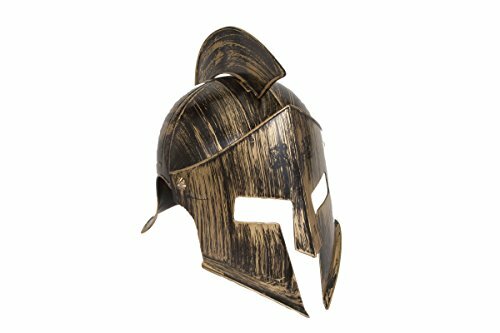 Dress up any knight costume with this helmet. 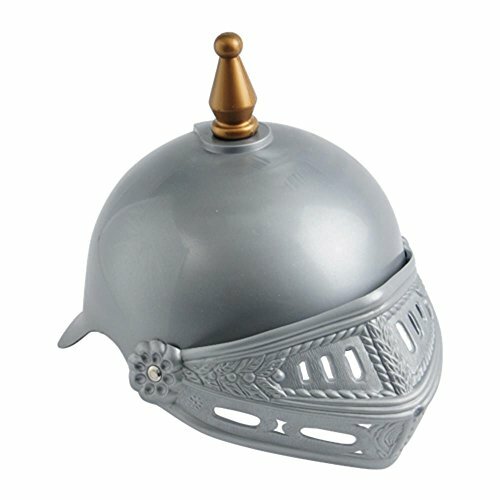 This toy knight helmet features a moveable eye shield. 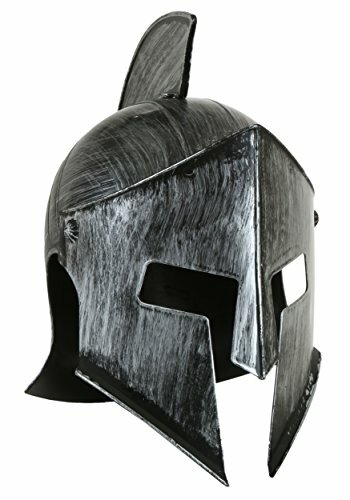 Made of hard plastic. 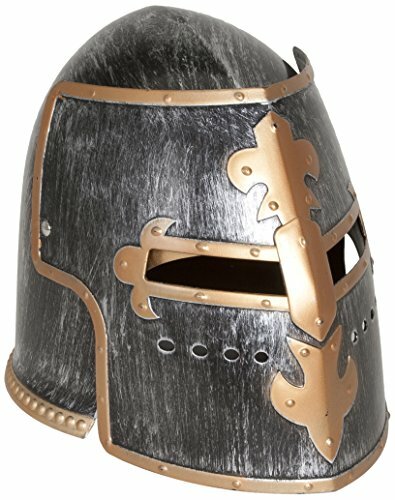 Adult size, 11" W.
knight crusader helmet is one size fits most adults and kids. 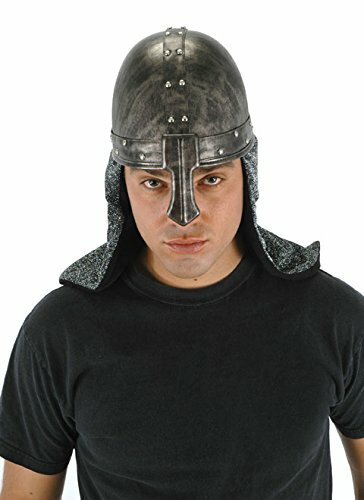 Medieval knight helmet is made of soft material for a comfortable fit. 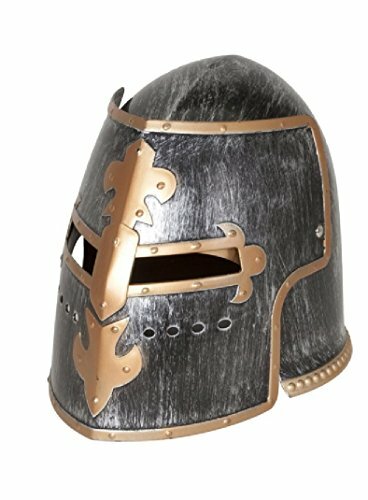 Perfect costume accessory to complete your Knight or Crusaders costume! 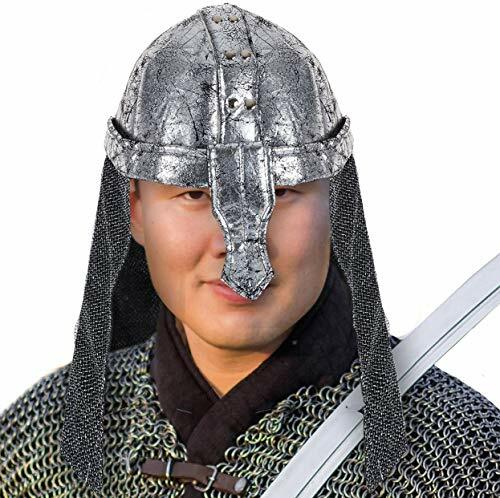 A realistic looking helmet that will take you back to the medieval era.